Complete set of patented, made-in-the-USA, rebuildable Dynatrac HD Balljoints™ for 2003-2012 Dodge Ram 2500/3500 4x4 trucks, and 2013 Dodge Ram 2500 4x4 trucks (does not fit 2013 3500 trucks). Dynatrac HD BallJoints are the strongest, most durable and highest quality available anywhere, featuring heat-treated high-strength billet bodies with chromoly stems. The heat-treated, precision-ground stainless steel ball meets military specifications. Unique seals prevent contamination, and the ball joints have greasable fittings and Teflon-coated wear points to provide a long, durable life. 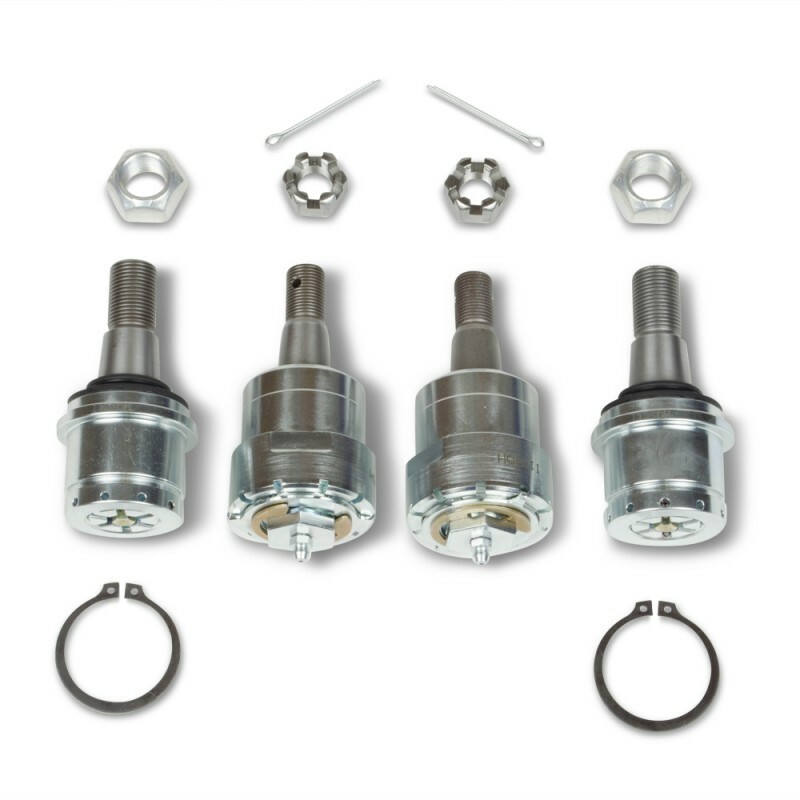 Dynatrac BallJoints are rebuildable -- they can be rebuilt on the vehicle with common hand tools.